Discover your world of possibilities with your monthly dose of insanely great career news and information for Western Australian schools. It is bright, easy to read and sometimes funny. There is a careers calendar section that is updated monthly. Check out how easy it is to keep up with Insanely Great careers information. Send for a complimentary copy of the In Focus Careers Newsletter. 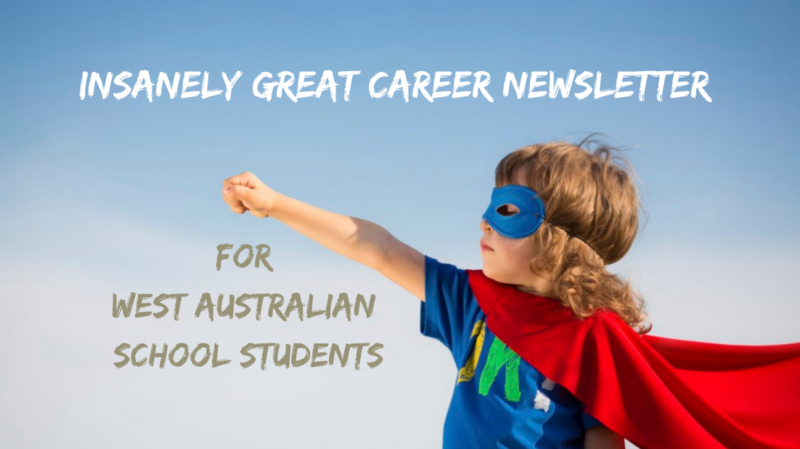 Please send me a complimentary copy of your Insanely Great careers newsletter for West Australian schools. Your complimentary copy of the Insanely Great Infocus Careers Newsletter will be with you soon. Check it out with your colleagues… use the information for planning and in your classes…. send out information in your school newsletter. Be amazed at how great it is and SUBSCRIBE. Enjoy knowing you have all the information you need to be professional as you help your students to unearth their best possible future. For In Focus Careers to be the conduit to Insanely Great Careers Information for West Australian students.